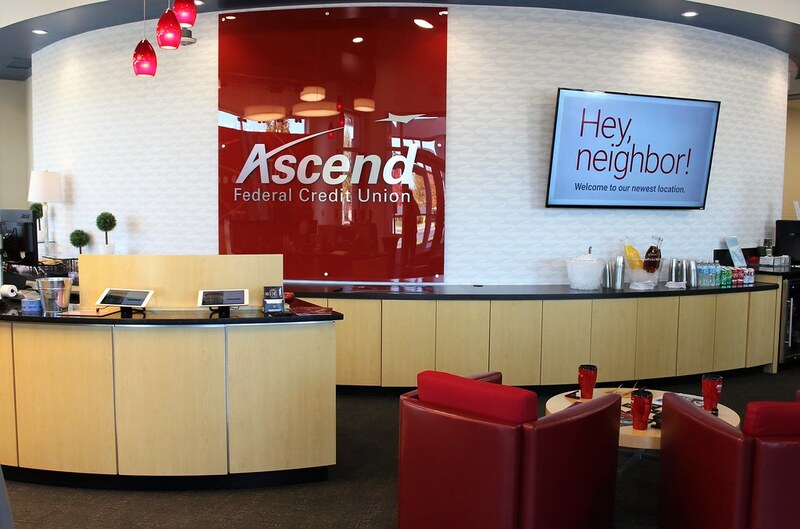 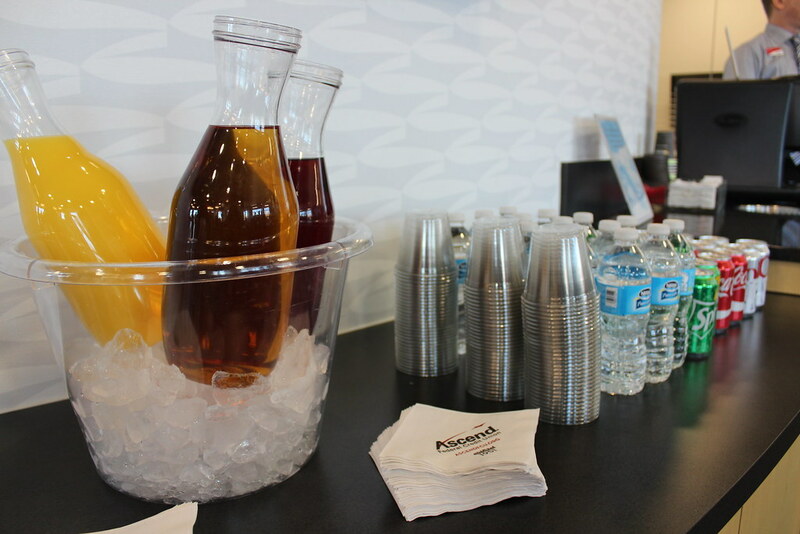 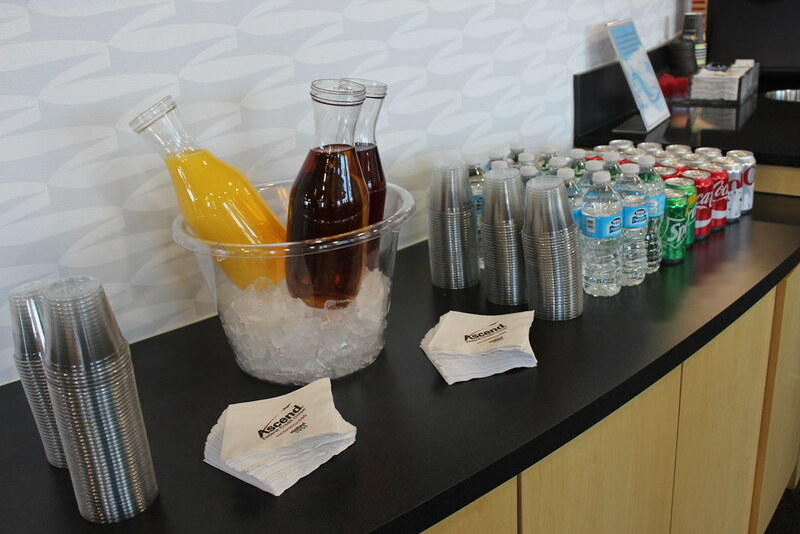 Ascend Federal Credit Union opened a brand-new branch in Hendersonville and we were there to help kick off their success with a grand opening! 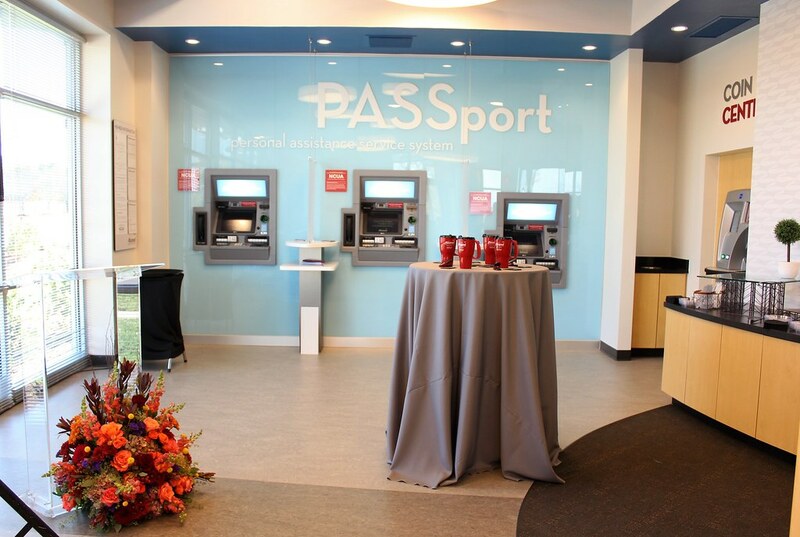 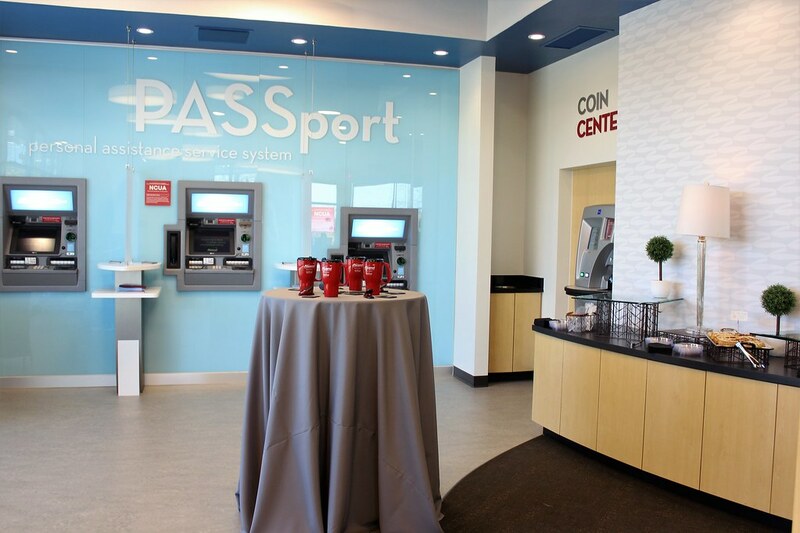 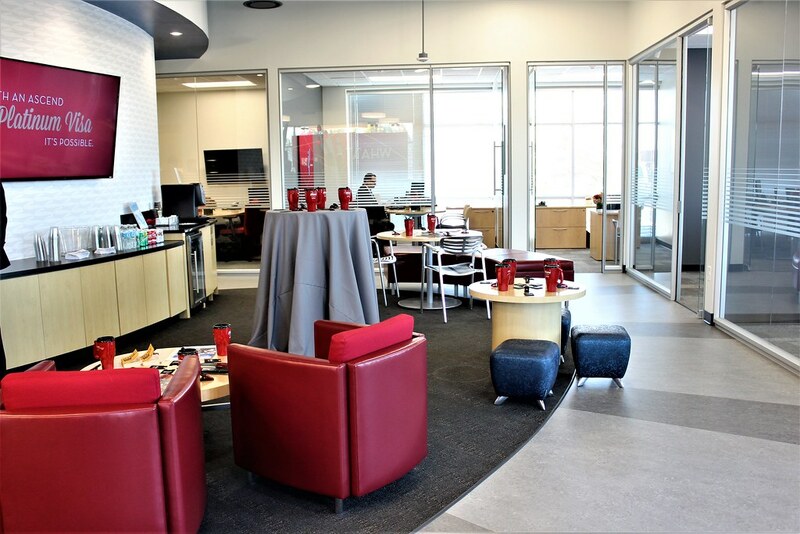 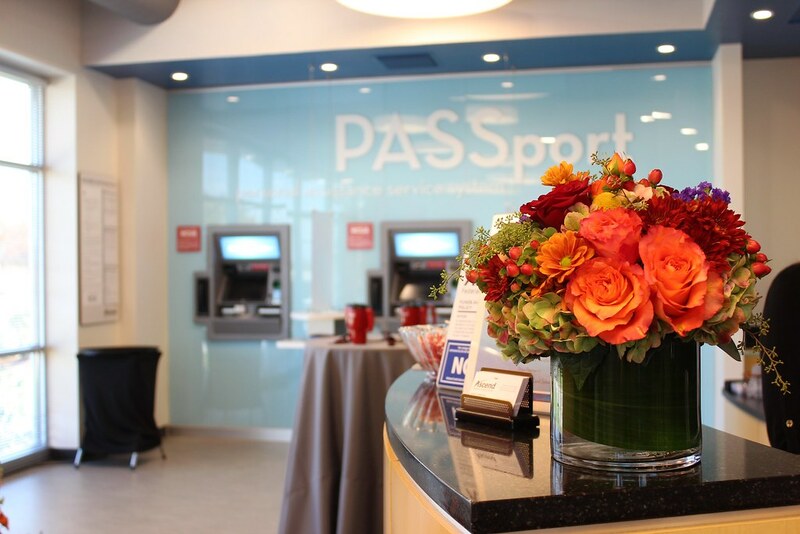 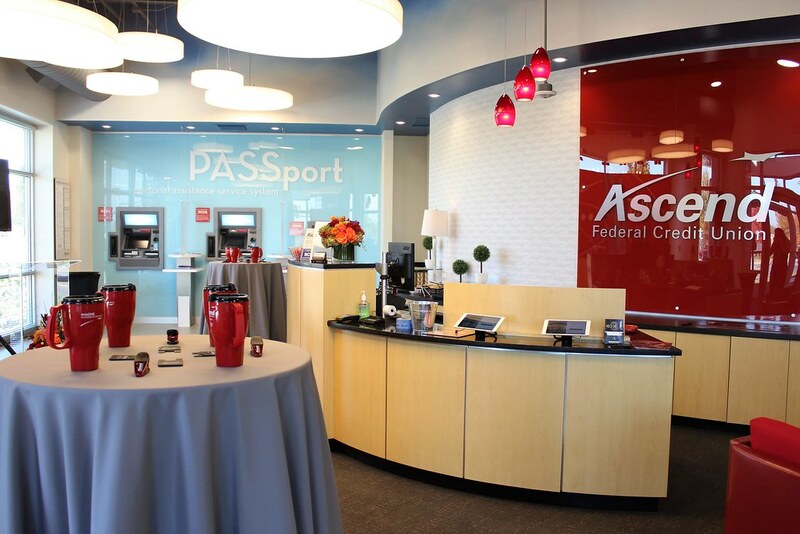 Not far from the heart of downtown Nashville, this location is the first of its kind in the state of Tennessee, offering a new video conferencing teller system that enables members to interact with a live person through the Passport system. 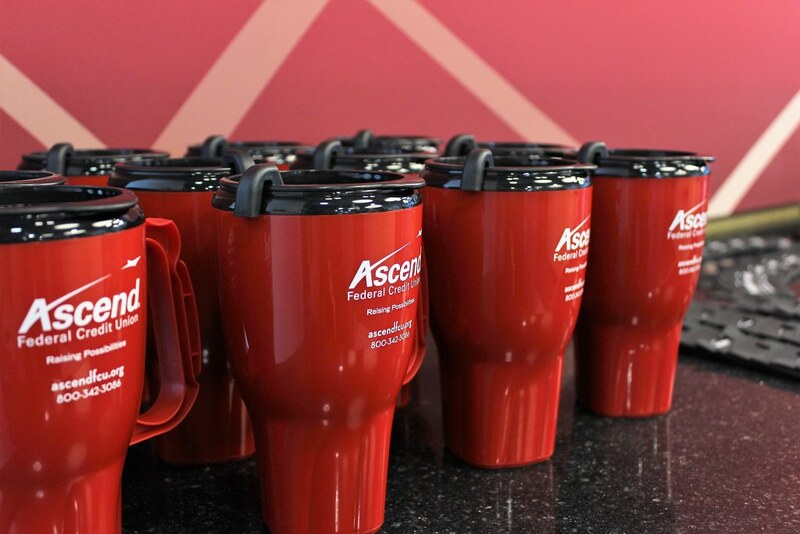 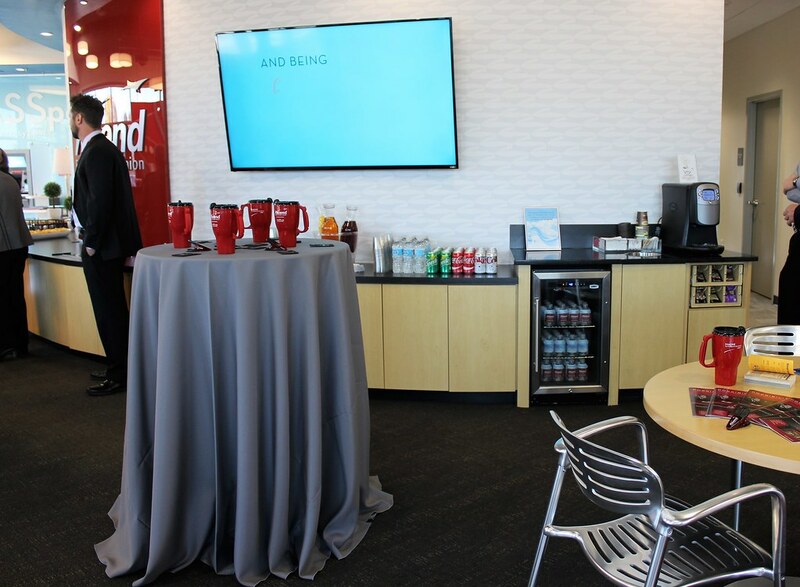 Ascend team members and partners from all over the state came together to celebrate the groundbreaking technology, the gorgeous new facility, and the growth of the company. 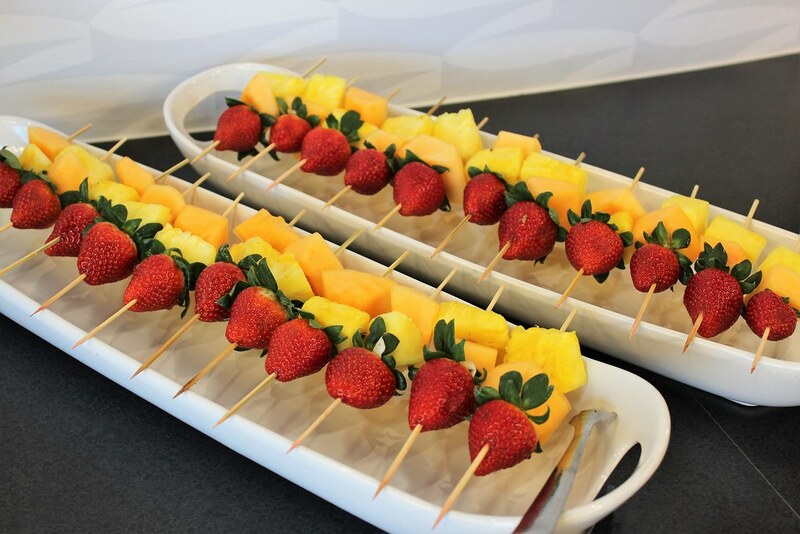 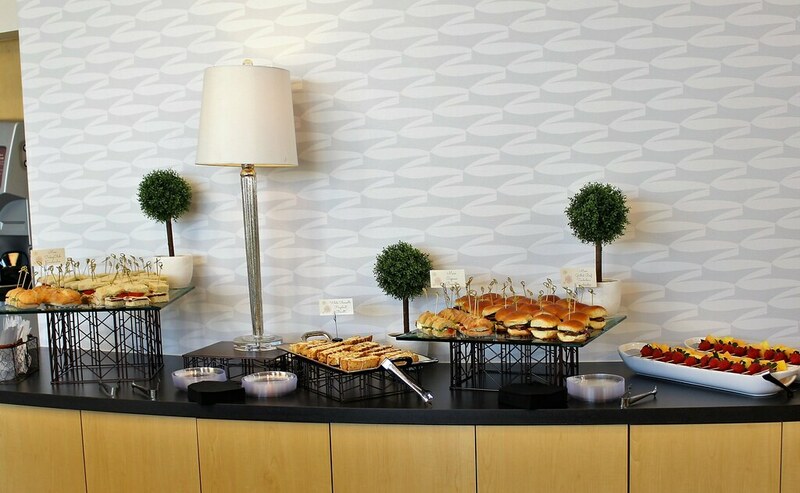 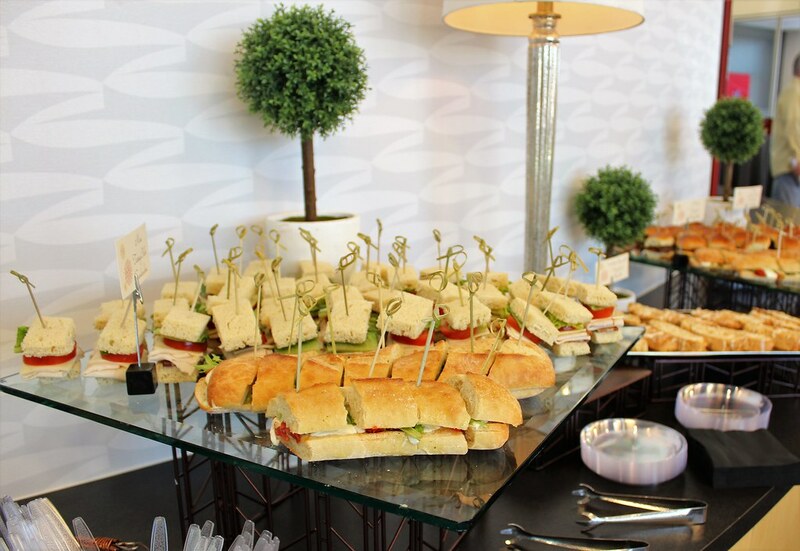 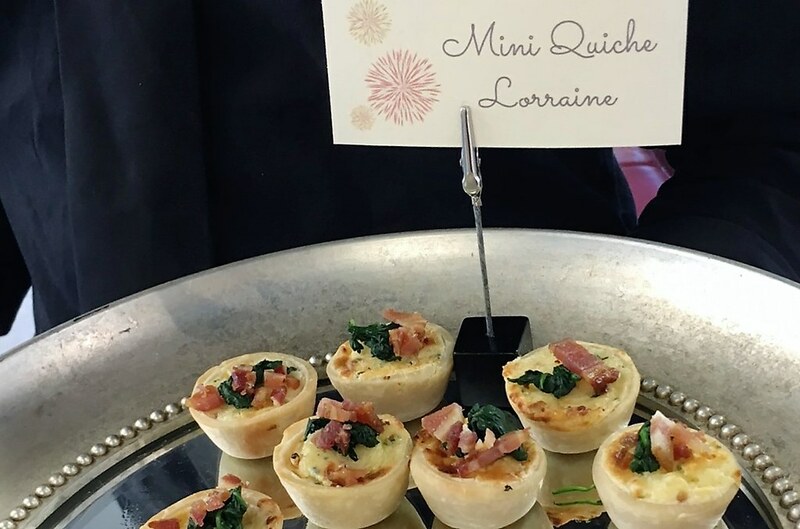 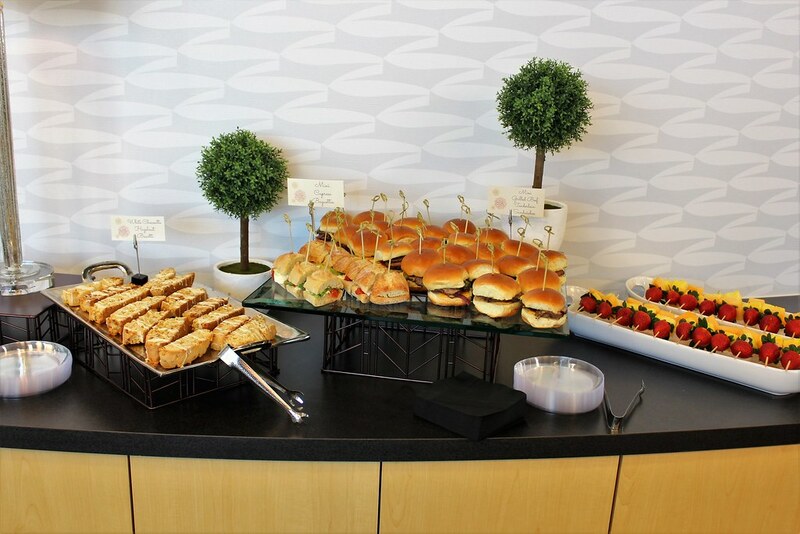 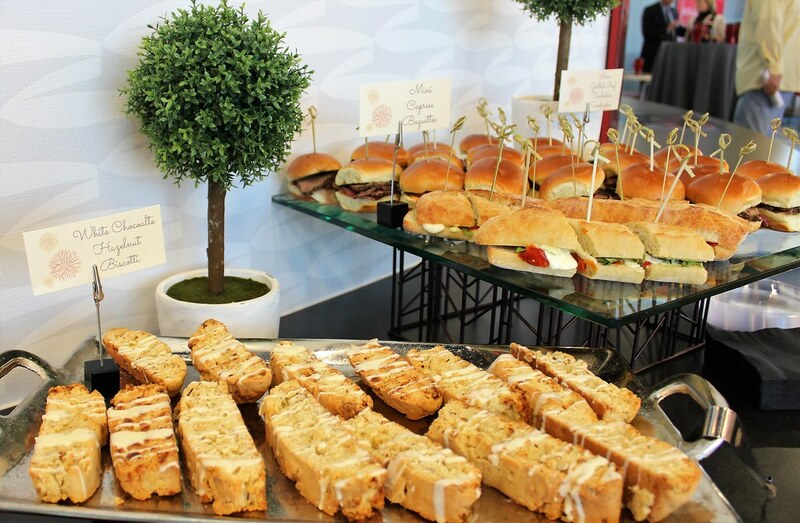 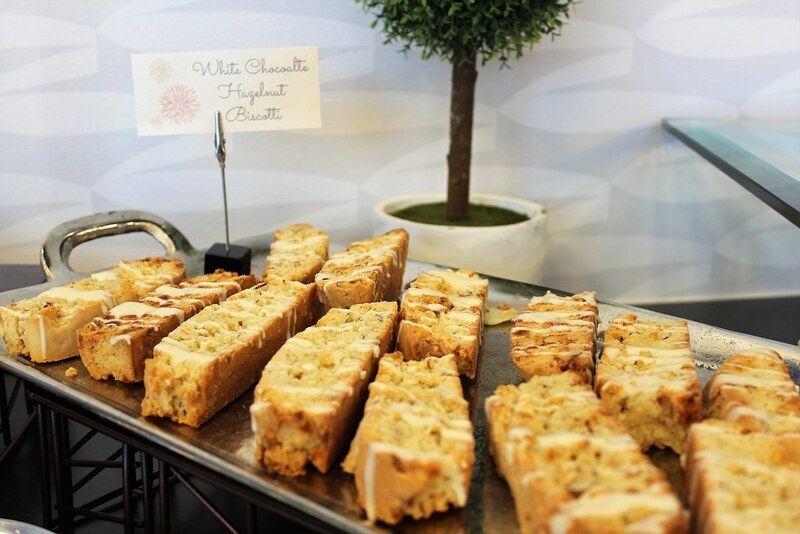 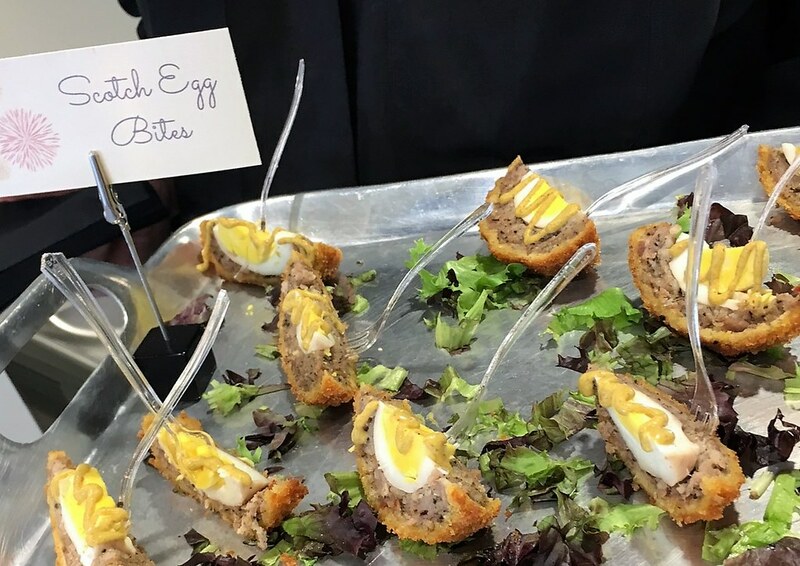 With a delicious brunch style buffet from G Catering featuring white chocolate biscotti, Scottish egg bites, mini beef sliders, fruit skewers and more, there was something for everyone to enjoy. 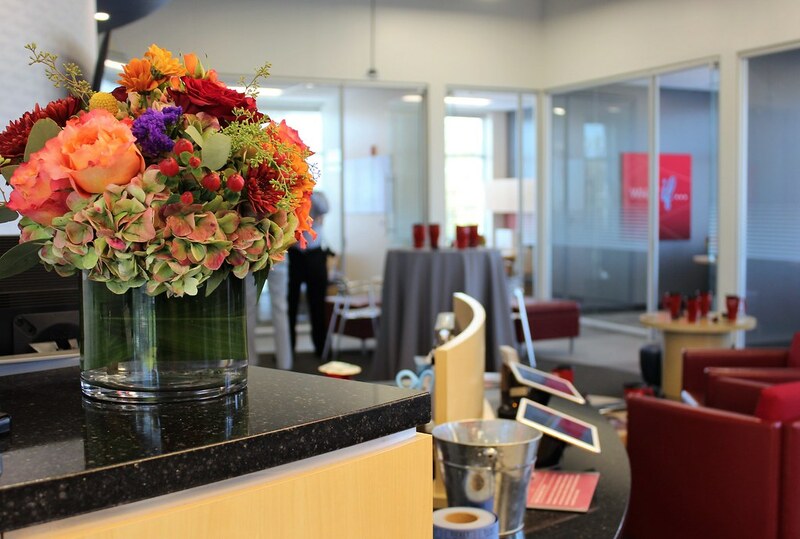 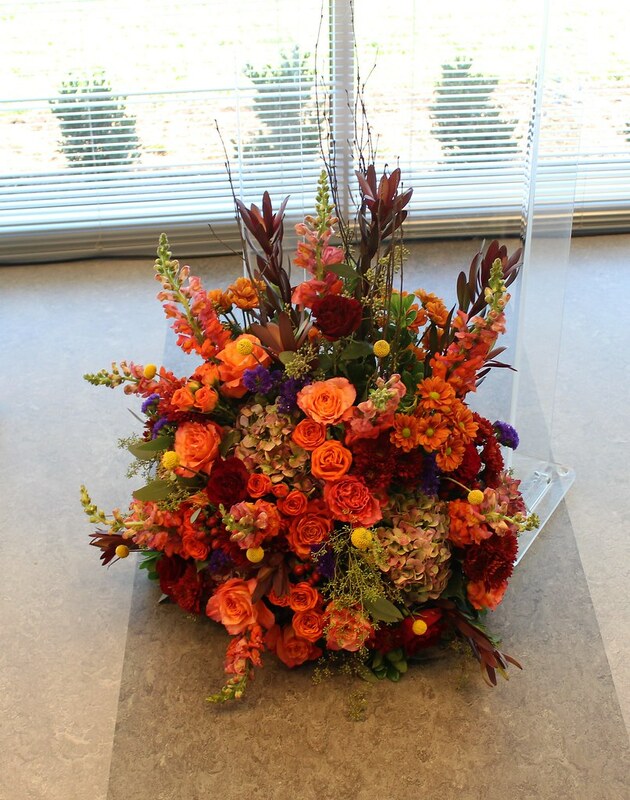 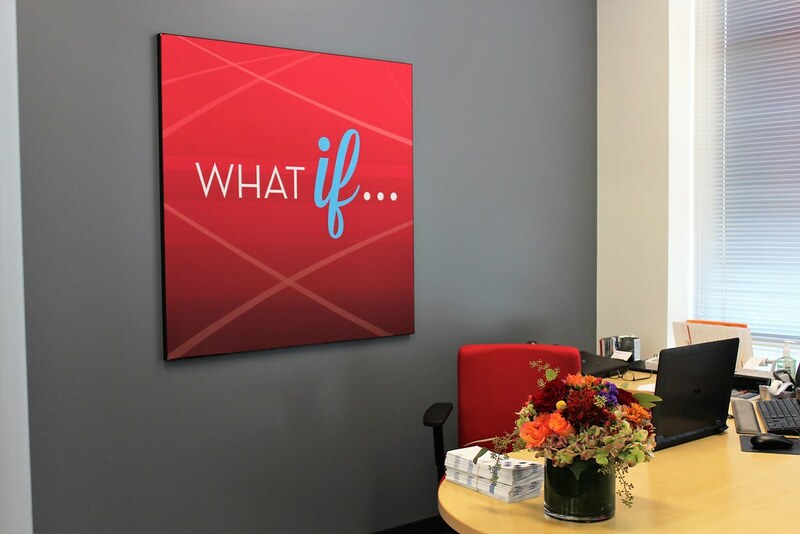 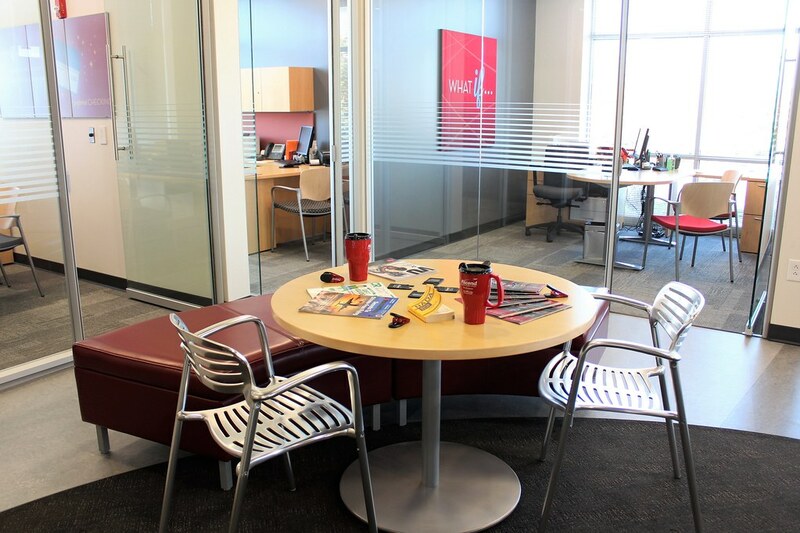 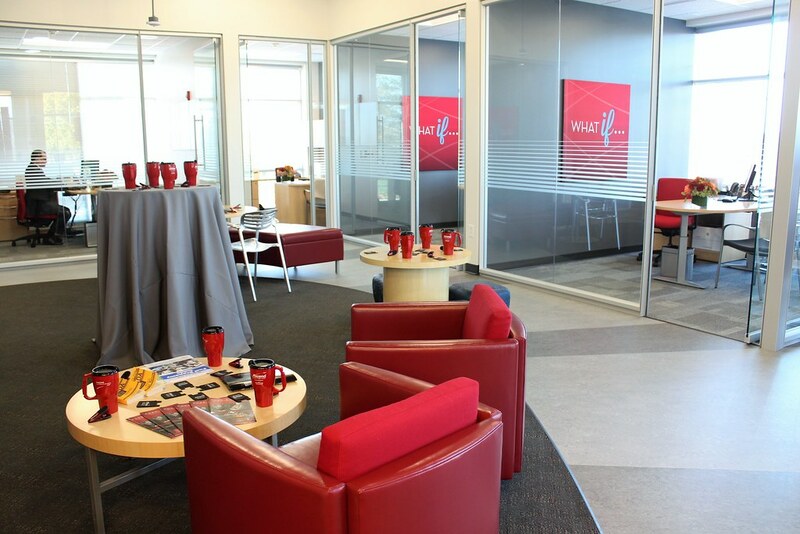 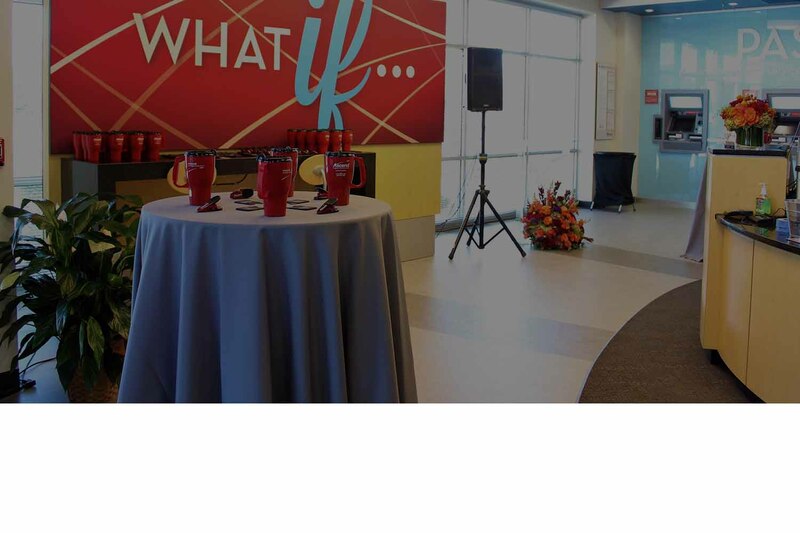 We decorated the branch lobby with charcoal linens to match the red and grey company colors and floral displays from Branching Out that incorporated red and orange tones of fall with bursts of blue to make the desk and podium arrangements pop. 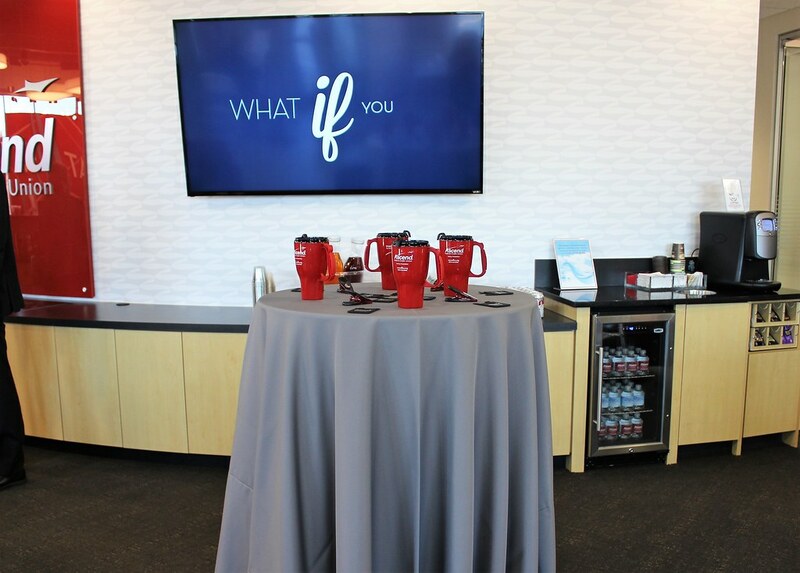 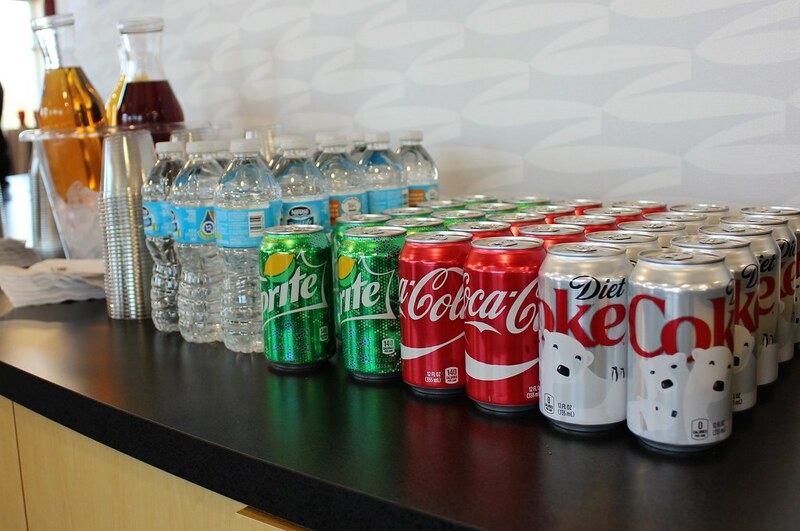 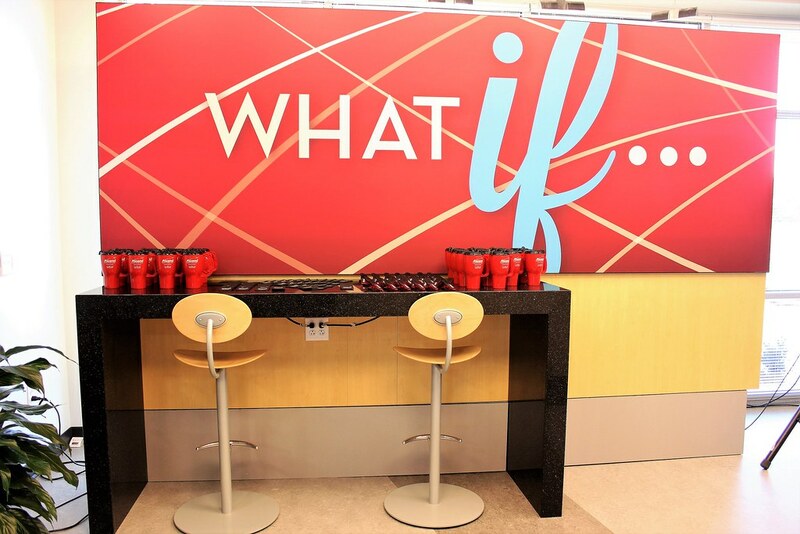 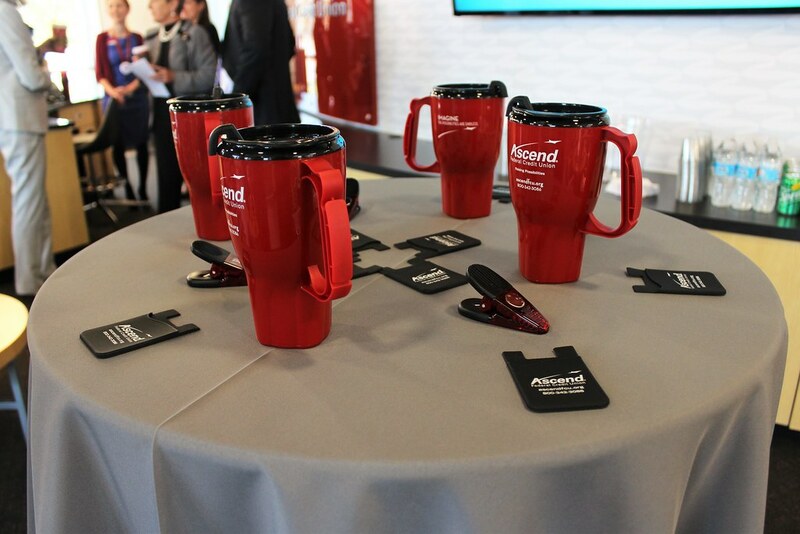 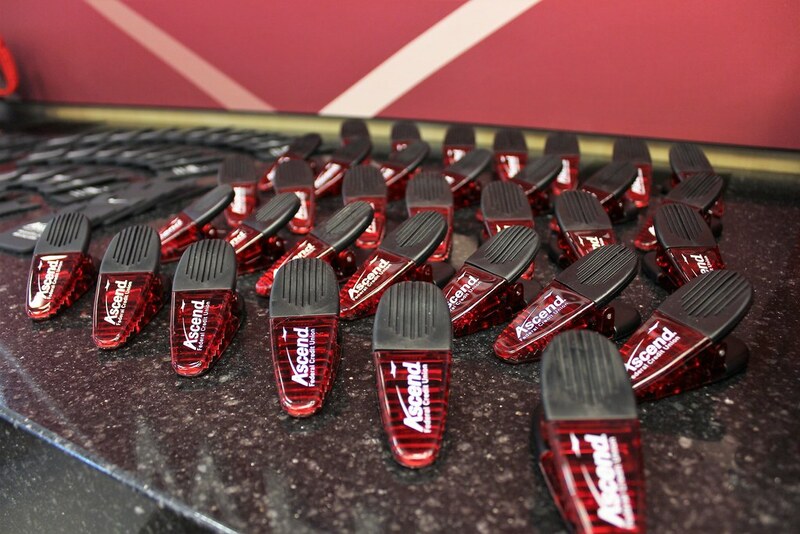 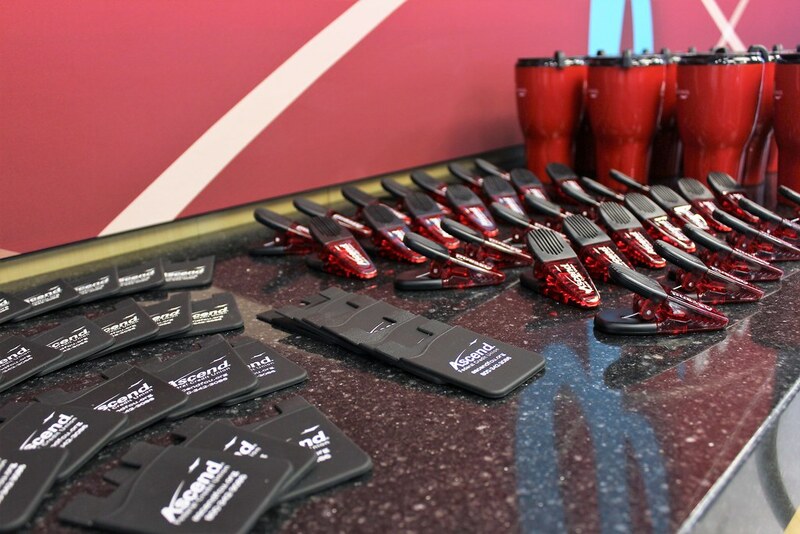 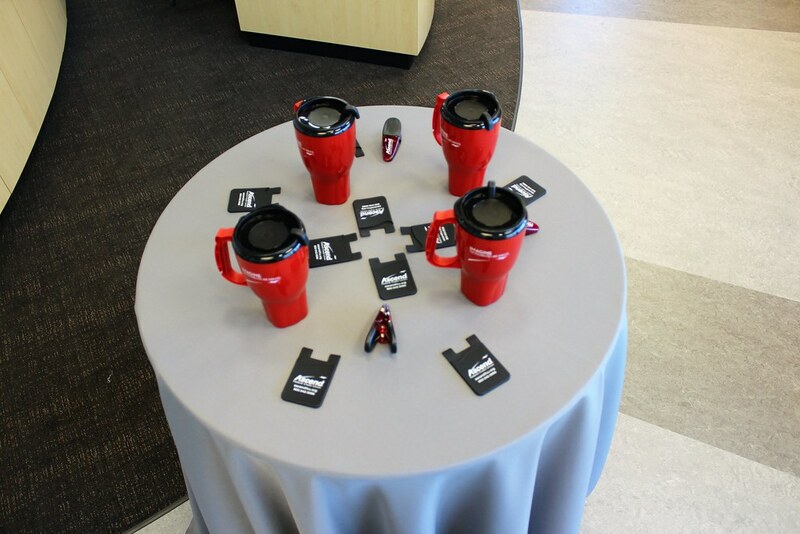 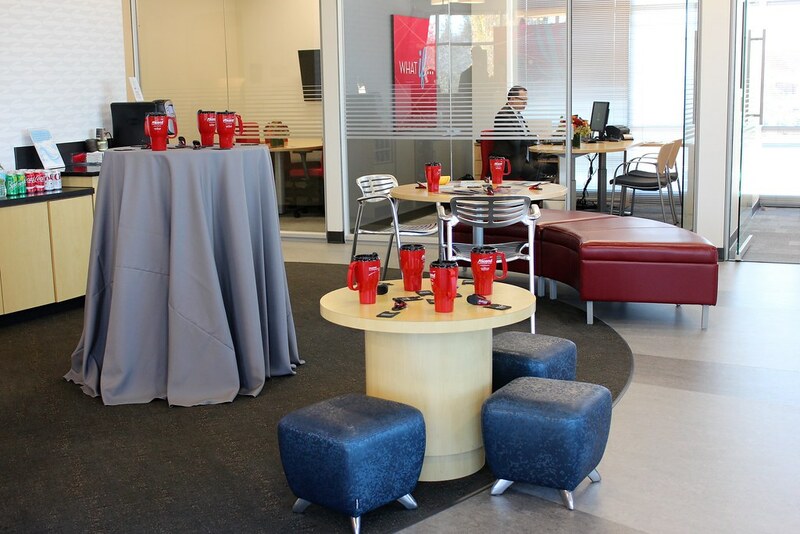 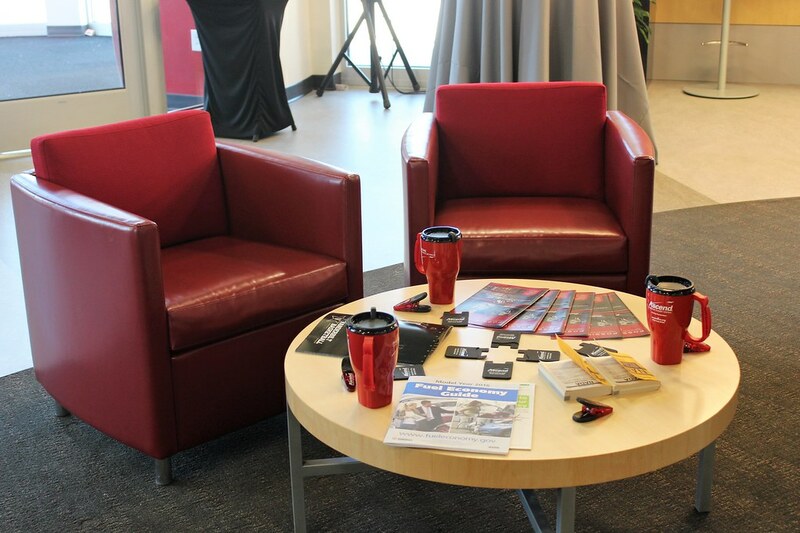 Custom take-aways covered the tables, including branded coffee cups, cell phone ID holders and magnetized clips. 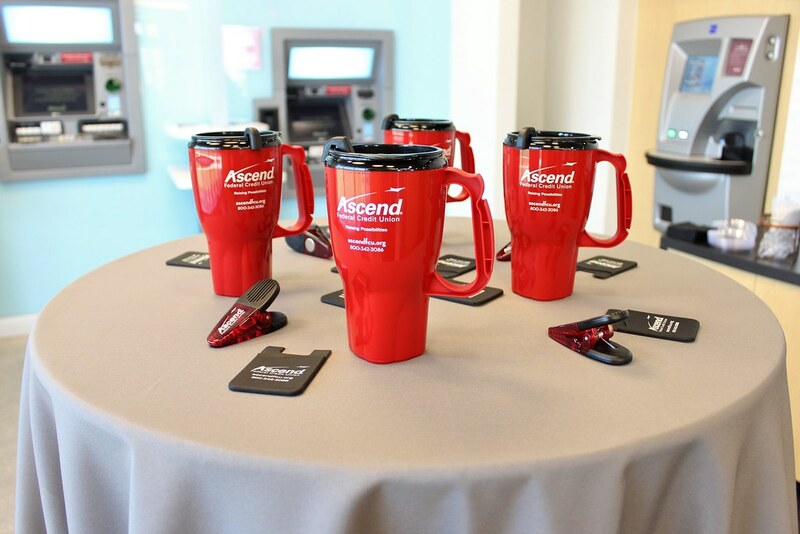 Ascend Senior VP addressed the crowd, thanking everyone for their continued dedication to providing their members with the best service possible. 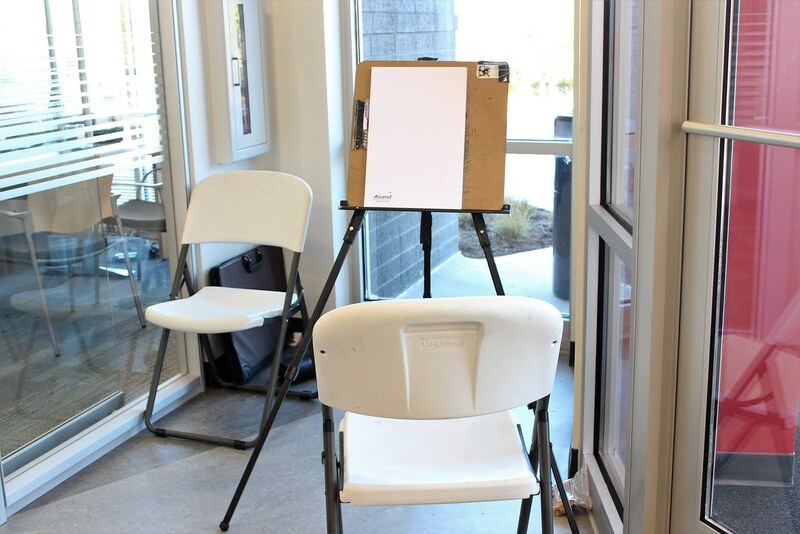 Attendees also enjoyed custom caricature drawings on site by Tracy Latham who created portraits of staff, members, and guest alike. 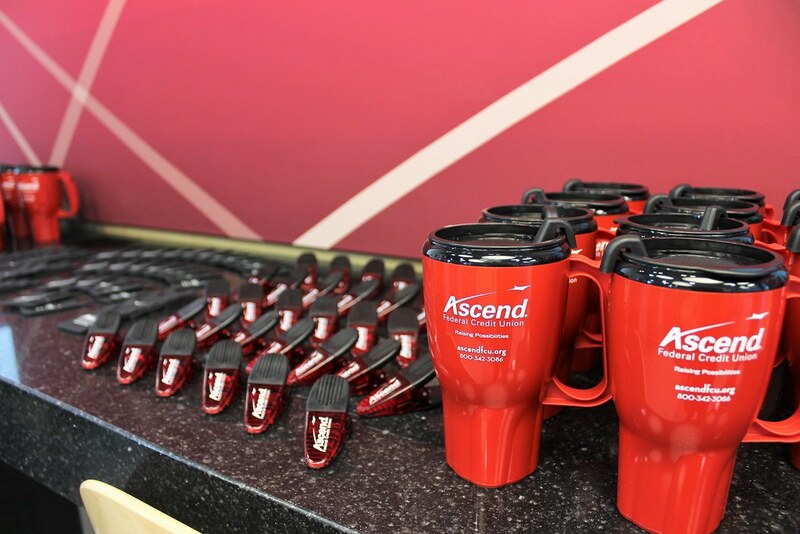 Additional remarks were made by the Hendersonville branch manager, and Ascend Chief Marketing Officer handed out door prizes including concert tickets at the jointly named Ascend Amphitheater and VISA gift cards to a handful of lucky winners. 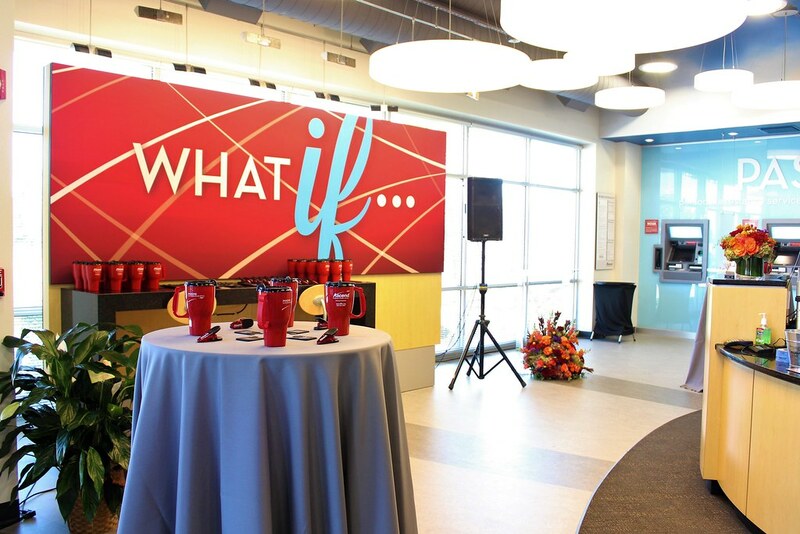 Following the presentations, everyone went outside for a celebratory ribbon cutting ceremony. 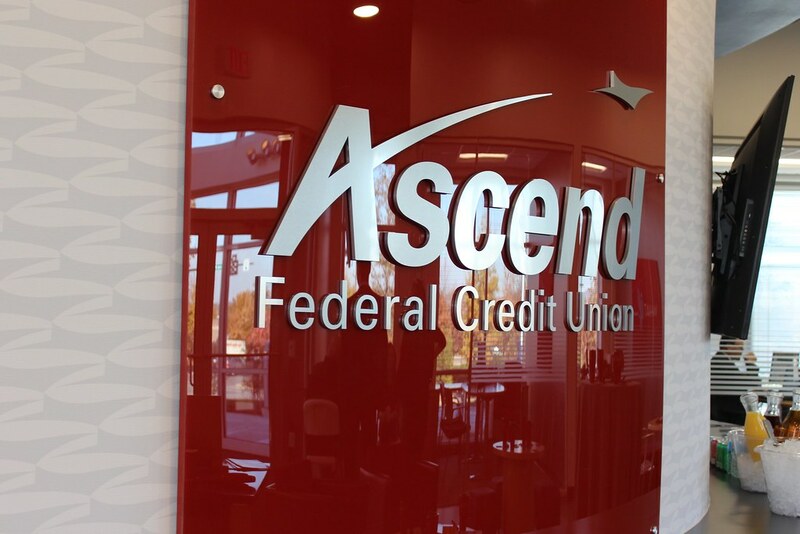 With new Ascend branches popping up all over Tennessee in the coming months we’re excited to be a part of future openings!